Sandra Hatley is an aviation professional, flight instructor and commercial pilot. Licenses and ratings she currently holds includes an AMEL Commercial Inst., CFII and MEI. 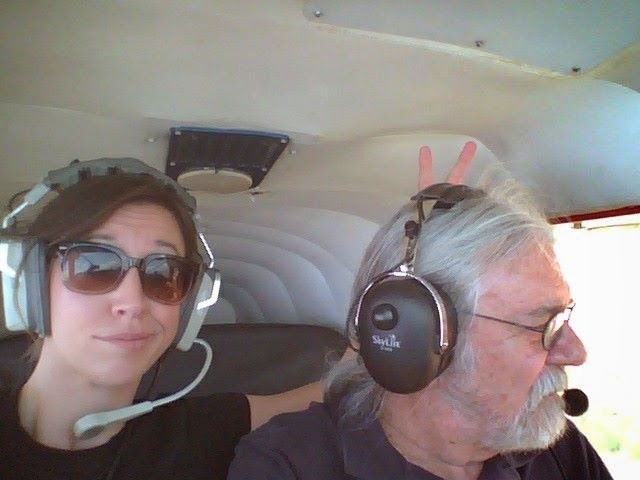 Her father was in the Air Force as a Flight Engineer and is now an active commercial pilot, as well as her uncle, and a couple of her aunts were flight attendants. 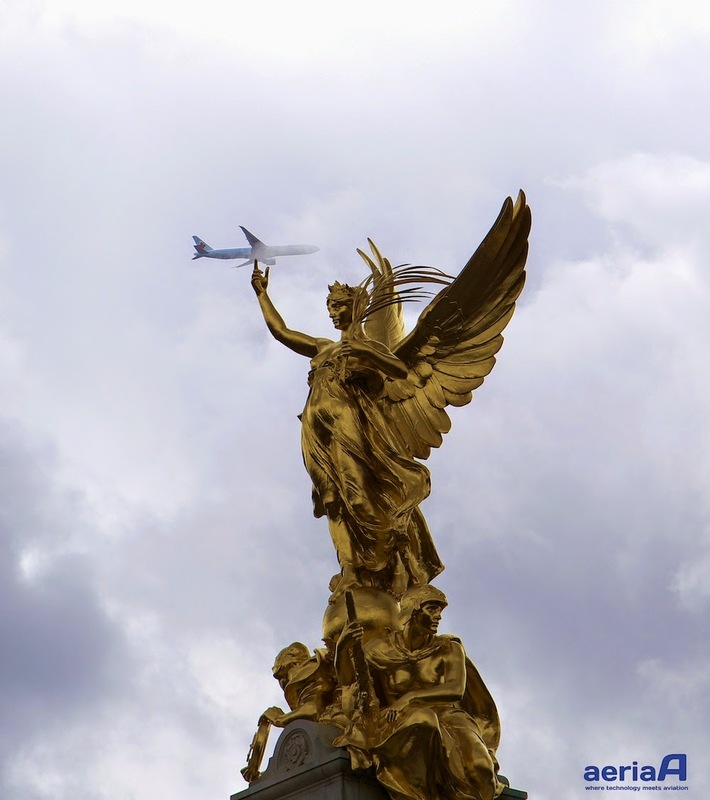 One could say she never stood a chance against aviation, however her journey did not begin until she herself became a Flight Attendant for Mesa Air Group in 2006. 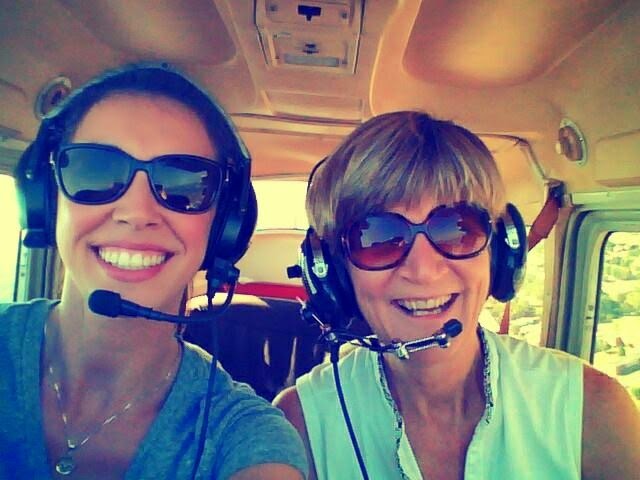 During that time, in true cliche form, Sandra saw the possibility of becoming a pilot as a stimulating reality and joined ATP in Daytona Beach, FL at the age of 21. From there she moved on to her first Part 61 CFI gig in Birmingham, AL where her folks live, then over to a Part 141 CFI position for Middle Tennessee State University, and then landed her first Part 121 First Officer position for Seaborne Airlines in the USVI flying DHC-6 Twin Otters at that age of 25 (tough gig!). 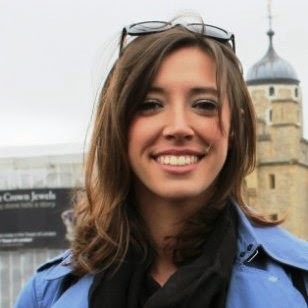 During her time in the islands she focused on beginning to obtain her Bachelor's degree with Embry Riddle Aeronautical University's online Worldwide program. After only one short year of island hopping and boardwalk rum having, Sandra experienced her first furlough due to poor economical conditions on St. Croix, in perfect conjunction of new island routes provided by Jet Blue. 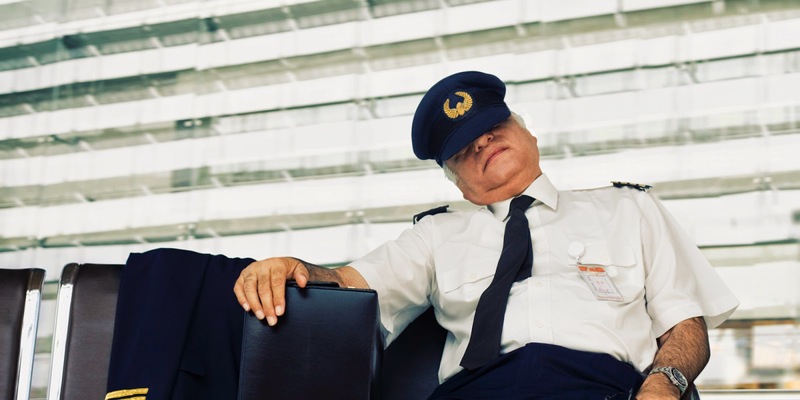 From there, Sandra went back home to Birmingham, AL and began humbly performing lineman and managerial duties at a local Class E airport, as well as freelance flight instructed to residents located on the field. 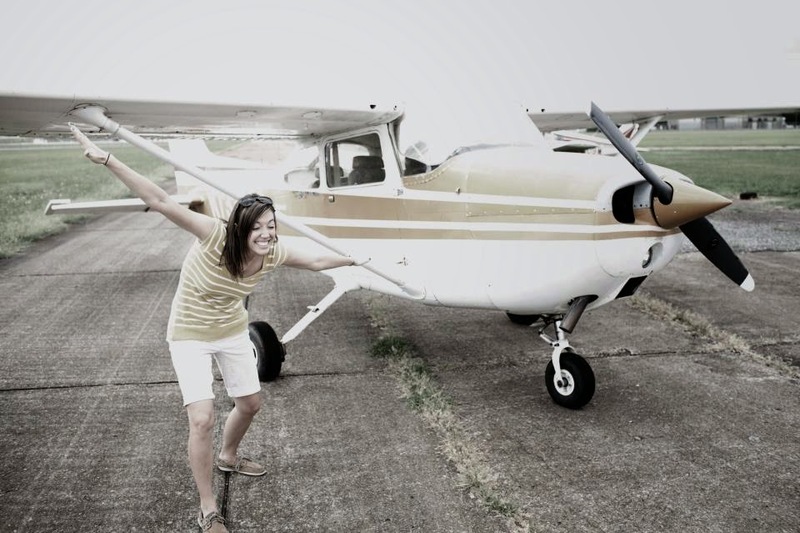 Hungry for salary, benefits, and to move out of mom's house, she changed direction and became a licensed property & casualty insurance producer with focus on aviation and aircraft insurance for an outfit back in Middle Tennessee. She likes Tennessee and would like to stay, haha. It didn't take long for Sandra to figure out that typical office life wasn't going to be enough to satisfy her rambunctious, entrepreneurial and ambitious spirit. 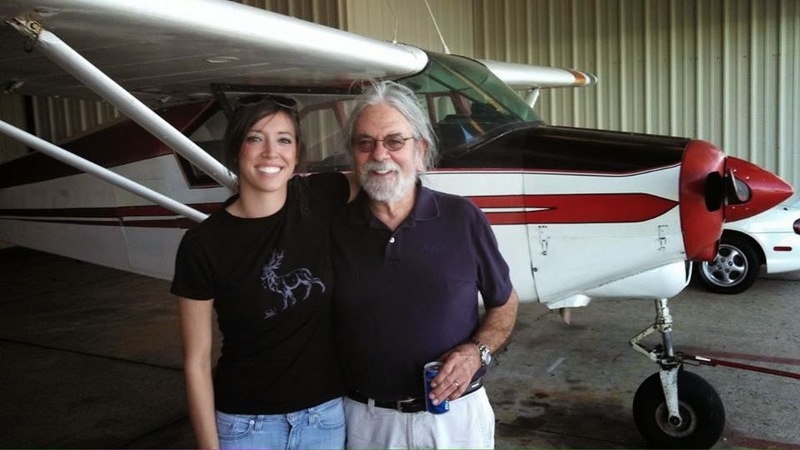 She graciously left insurance and in an attempt to begin a flight school of her own via an elaborate craigslist post, Mufreesboro Aviation owner Jim Gardner found and hooked Sandra to come operate alongside his vision. Murfreesboro Aviation is a full time operating Part 61 flight school and Cessna certified maintenance facility. They offer flight training from Private thru MEI and ATP on a fleet of 1 Cessna 152, 2 Cessna 172s, and a Beechcraft Duchess. 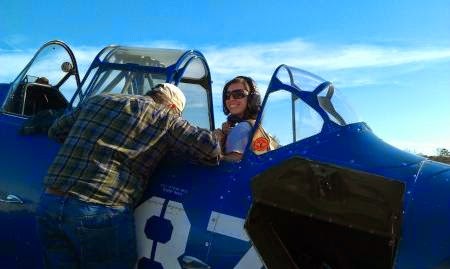 Many residents on the field utilize the instructors for their own aircraft as well. 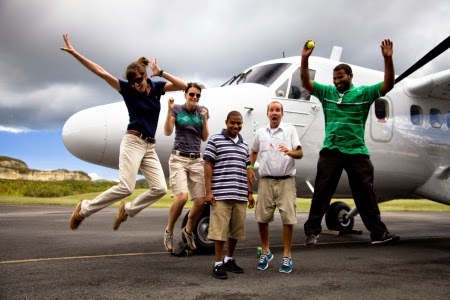 Murfreesboro Aviation sits next door to MTSU's Part 141 program, and acts as a relief to university students unable to obtain a flight lab in the university curriculum. Murfreesboro Aviation also offers CATS testing for pilot and mechanic writtens, as well as serves as a pilot store for necessary charts, headsets, and all other training materials. Though there is an FBO on the field, Murfreesboro Aviation serves as a 24 hour FBO facility and even goes as far as providing crew cars and Hertz rental car services. Sandra realizes many may wonder why she has not jumped the regional train yet, and just shy of an ATP herself at the age of 28 and with her BS degree, she is seriously considering it. 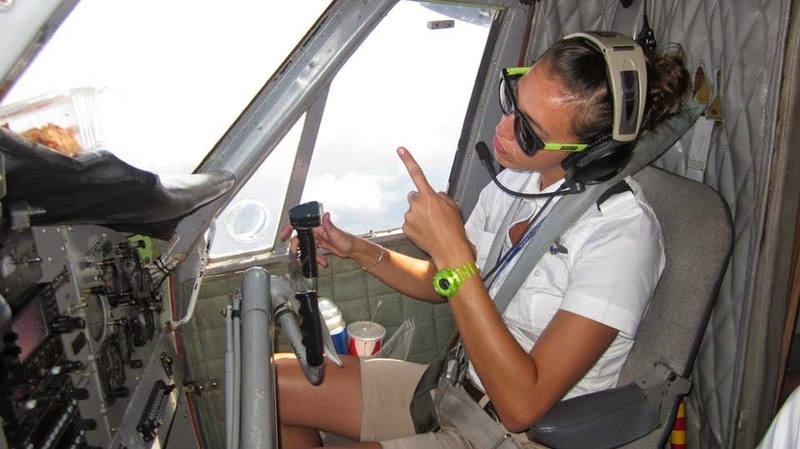 Her experience thus far has been somewhat unconventional, and she is holding strong for a successful position in the realm of General Aviation. 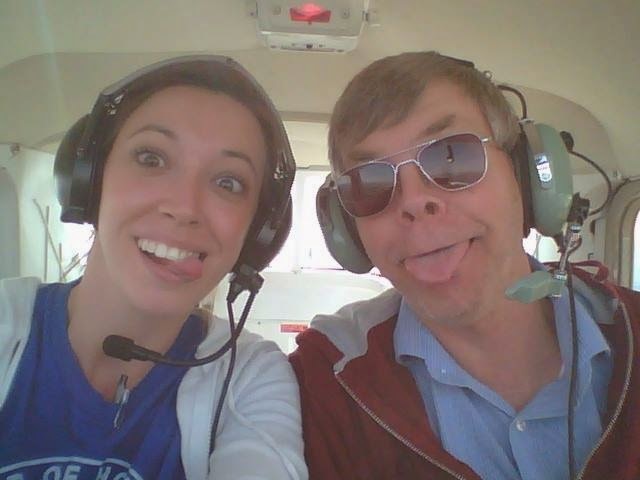 You will find that among most of the instructors at Murfreesboro Aviation, too. Always safe, but somewhat a "rogue" crew. While enjoying the camaraderie at Murfreesboro Aviation, Sandra is working on beginning a Women in Aviation chapter in Nashville, TN to parallel and support the local university only chapter. Her focus has shifted on enjoying the present, focusing and working hard on the present, and allowing all the pieces fall as they may. I am Thankful for my family and friends, my grandkids' laughter, hot baths at the end of a long day, waking up early before the world turns on, good books, learning something new, opportunities, winter break, my shower pressure, chocolate flavored coffee in the morning with real cream, my cozy little house, my job, my life experiences, finishing my stats and human factors finals, my health, seeing Oprah with my eldest daughter, and the gratitude for all the love in my life. Enjoy every moment, and find the gratitude in your life. This will serve as advance notice for an upcoming simulator study conducted by the FAA in Oklahoma City. The study has not been officially announced, but preliminary information is available and I would like to gather a list of interested pilots that will be notified and scheduled as soon as the dates and times are secured. The study is open to all current American/ Legacy US Airways and Delta line captains and first officers. 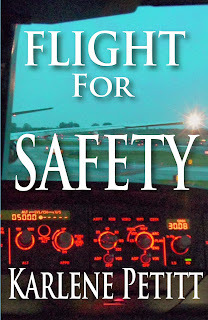 Retired pilots, simulator instructors and management pilots are not eligible for the study. Check airman are generally excluded, but exceptions are taken when necessary to fill available slots. You will need to Jump seat or non-rev to OKC the day before your session. Your hotel reservation will be at the Wyndham Garden. The FAA shuttle will pick you up around 0630 the morning of the study. Each crew will participate in a 6 hour R&D session in the FAA’s A330 Level D simulator. Usual times are a show time of 0700; a briefing time of 0715; an on-motion time of 0800; a 15 minute break at 0945; off-motion at 1200; de-brief time of 1210 and release not later than 1330. You will receive $425.00 compensation, plus $99 per diem, hotel reimbursement; and airport parking or cab fees, if necessary. Once your date has been established, you will receive detailed information regarding hotel reservations, directions and other logistics. Please respond with your seat position, cell number, and if you are interested. You do not need to provide any dates until I send out the official request. Respond to BTAeronautical@gmail.com. Every Pilot Needs what I have! And mine was a gift. Oshkosh 2014 I met some great people. One of which was Ted Thomas. He was such a great guy that he even gave me my own Microfiber cloth. And... I told him I was taking it on my flight to test it out. Works GREAT! Best cloth I've had ever! for your Amazon Comments too! Last week was spent flying around the world. This week I will be in lock-down completing my finals. I cannot believe how fast time flies. You should read two great books! and I'm an avgeek since...forever! My grandfather worked his entire career, in the Sales area, at Aviaco and then at Iberia Airlines, in those years of aviation's golden era. So, I always saw Iberia staff at home, and that was enough for my aviation passion. 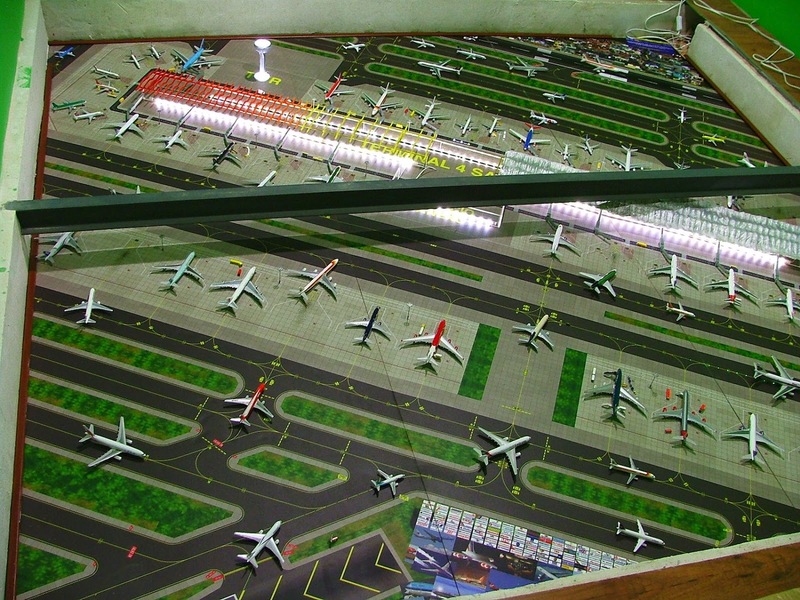 When I was a child, I did a lot of plastic models, read and buy a lot of aviation's books. In 1991 when the computers came to my life in 1991, opss, two passions at the same time. Simulators, great! Why am I an avgeek? I always select window seats, close to the wing. When I see a plane I have to enjoy it watching everything about it. 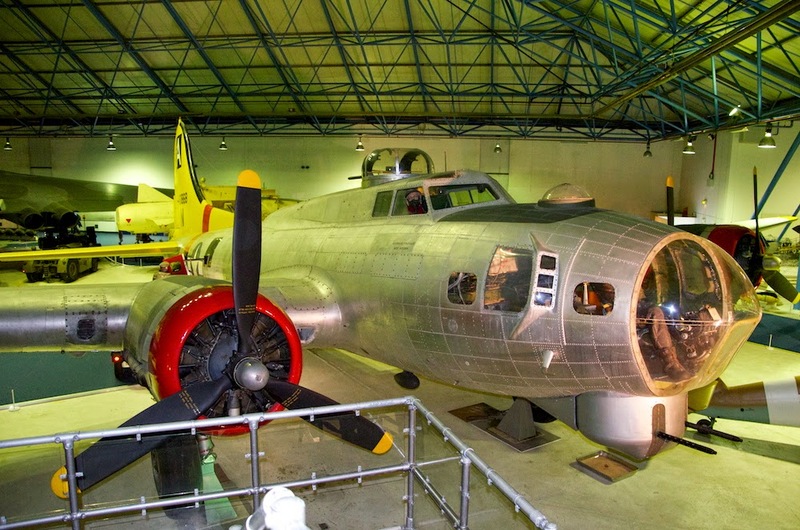 When I travel to any city in the world I like to visit aviation's museums. I started to work as a developer in urban traffic and finance projects when an unique opportunity arose, work in the new Madrid Barajas Terminal 4 and Airport Management Center building project, since then, I have been working in several new terminals/airports (10 till the date), managing the integration systems tests and commissioning. In 2013 I started www.aeriaa.com, a personal website that joins both passions, aviation and technology. It is a website for writing about about aviation technologies, history and for spreading knowledge freely. Library section with recommended books, (http://www.aeriaa.com/book-table/), including mine (about bored topics of airports systems ;)), some of them freely downloadable. Education and Kids, with some references pro-training courses, NASA resources, where view planes. Meet the experts for reading interviews, listing worldwide conferences, events, shows, etc. Videos and photos, I also have a Youtube channel (https://www.youtube.com/user/aeriaacast) with a lot of videos. One of the most important section Projects&IT, a place to show pure IT related topics, Open Source projects (http://www.aeriaa.com/projects/), APIs, and three sections for promoting projects or services, the original "Mum, I've worked in this project" (http://www.aeriaa.com/mum/) a place to show our mums what we are doing, The Showroom for listing interesting projects and Help Projects in order to list projects that need support. These three last sections have not any content yet, but they will have. Do you have some interesting to show? Apart from my website, after of years of dreaming, last year, in 2013, I had my first experience as a pilot (glider pilot)(http://www.aeriaa.com/on-learning-to-fly-gliding/) I was learning to fly gliders for a whole week, it was a superb experience. I hope I can continue soon. He said, "Seems like the optimal thing would be to stay on local time. If that works that's great but often it doesn't and it can be hard to sleep in the daytime too. I know some folks sleep when they're tired and other have specific plans for certain cities and others just sleep when its dark wherever they are... Thoughts?" I have been playing with this forever! And come to realize that the best thing to do when you get in is go to bed and get as much sleep as possible. For me when I stay awake to shift around and go over that 24 hour period, my body wakes up and I never get that really good sleep. Accumulated fatigue is what gets you. That kind of makes layovers not as much fun... but....Since I've been in school, I have not gone out much. Okay, an other option is, take a nap, get up and then try to sleep later. That kills me in Europe because I rarely can go back to sleep for the morning departure. If I try to schedule sleep, and I don't, then you get behind the power curve. So... I'm way fatigued in the morning and hard to catch up. I really think sleep when you can get it is the best, and learn how to nap. I've always been a bad napper, but not doing caffeine helps. If you can catch a couple hours before departure, it really helps. I've been asking everyone this same thing, and yet to figure out for myself. Pilot: "I've been experimenting. Last trip I tried to just stick with the time zone I was in and go to bed when it got dark, etc. I was pretty tired the whole trip. Slept well enough in the bunks but no more than about 4 hours at a time and probably not truly quality rest. On the trip I'm on now it works out perfectly that the flights are what would be mid-day pacific time so I'm trying to sleep about the same times I would at home. On the next trip I plan to try the "sleep when I'm tired, eat when I'm hungry" method. I will take notes on each and see what works best for me. Obviously everyone is different so it's not completely useful but it will be interesting to see what my personal results are..."
What are your tricks for sleeping? And we travel that road to heal. I asked Mark if he would like to share his strength in my upcoming book, Flight To Success. This is the story Mark sent. Touching and beautiful... you don't have to wait for my book to read it. Susanne died on July 17th, 1996. She was my fiancée, she was thirty-one, and it goes without saying, she was the love of my life. I’m a pilot: I was then, and I am now. I’m also an alpha male, and sometimes I’m stubborn beyond reason. Stubborn isn’t the same as being resilient, but I pretended it was for many years. I tried pushing forward; engaging life with my personal pain hidden behind a flat affect—what some call a thousand-yard stare—and it concerned my supervisors, my family, and my friends. 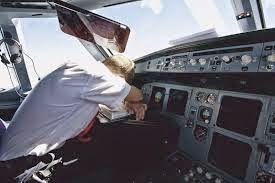 My airline grounded me for a while, but eventually allowed me back in the cockpit. This saga is revealed in more detail within my memoir 13,760 Feet—My Personal Hole in the Sky. 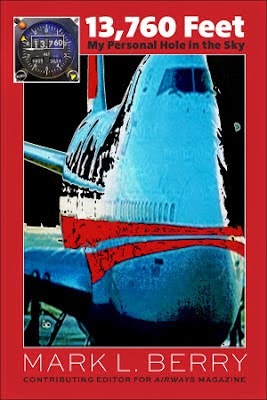 Did I mention that Susanne died onboard one of my airline’s jumbo 747 aircraft? She was one of 230 passengers and crew who blew up offshore Long Island on TWA Flight 800. I moved forward, but I didn’t move on. I encountered some beautiful people along my post TWA Flight 800 journey, but I kept them all at arms length, even while embracing them in passionate moments. I was able to go through the motions of courtship, even the horizontal motions reserved for the dark, but I was emotionally grounded. Not the good kind of grounded either, as in an electrical metaphor, but the bad kind: I was a pilot who didn’t bring my heart along in my suitcase. I’d buried it with Susanne, so it was more than grounded; I’d left it six feet underground. For ten years I wandered the Earth: playing touch-and-go with feeling people’s hearts—and I even circled the planet once—but endless days came and went, and they didn’t mean anything. Remember those concerned family and friends? A couple of them finally sat me down and challenged me to move forward with my life. Ten years, and I was still as detached as the day I heard the news of Susanne’s demise. Sure, I wanted to move on. But being told I was failing at feeling was not the same as being handed a roadmap to a new life. My inner circle of friends, the ones I wasn’t able to completely shut out of my heart, handed my life report card and it was covered with Fs. They didn’t tell me how to improve my grades, either. They just pointed at the hole in my life that I was ignoring, and told me to find a way to fill it. I received this advice to tackle TWA 800 directly from Professor Schwartz at UMSL, where I took a fiction and poetry class. Nonfiction wasn’t even supposed to be an option, but before our twelve weeks together were over, he challenged me to write an essay rather than a short story for a change. I locked myself away, and at last dug into the night of TWA 800, recounting it on paper for the first time thirteen years after it happened. A counselor I saw at TWA (to address my grief) once told me that feelings we bury, we bury alive. Mine came crawling back out. That essay was accepted in the newspaper of the town where I grew up—Greenwich Time—and then syndicated throughout Connecticut. Since it felt like my big publishing breakthrough, I included it with my grad school applications. I decided I wanted more formal training and hoped to enroll in a creative writing MFA program for fiction, and write another novel. But just because I let my feelings out of the dark for a moment didn’t mean I was going to give them a big hug. I still had fiction on my brain when the Director of Fairfield University called to offer me a seat in the next winter residency… as a nonfiction student. Did I mention that I’m stubborn? I didn’t want to write nonfiction. I wanted to make up another story for my first novel’s characters. I wanted to bury my TWA Flight 800 feelings for another thirteen years. I wanted to negotiate an acceptance into the fiction program. The Director, my dad, my best friend, and my former professor all wanted me to write a memoir—something I thought was reserved for celebrities and/or narcissists. I was definitely not the former, and didn’t want to be the latter. But to escape narcissism, I needed to learn how to truly listen to others, and embrace their opinions. It finally became obvious I needed to dig into my past if I wanted any kind of happiness in the future. I spent the next two years writing, rewriting, work-shopping, and further rewriting the darkest chapter of my life. At last I graduated, and my personal journey became my master of fine arts thesis as a collection of essays. Some of these essays became articles and were published in Airways. A handful of them found their way into additional magazines and literary journals. Then I worked on story structure, and rewrote all I’d accomplished though the MFA program for another two years, finally creating a coherent memoir. My stubborn streak paid off as I rewrote 13,760 Feet—My Personal Hole in the Sky at least ten times before it was finally published. It’s not enough to just write a book; it needs to grow and mature along with the author. It’s now eighteen years after Susanne died onboard TWA Flight 800 and I have almost converted my memoir into an audiobook. Once I finish the recording and mixing of all 345 pages (plus the 34 companion songs that are infused into the story), I will finally be ready to polish my second novel Street Justice, the one that has been on the back burner for so long. After that, I want to return to nonfiction and write somebody else’s compelling experience. I was pushed into revealing what I’d buried so deep and for so long, it will feel like I’ll have completed a full circle if I am able to help someone else tell their story. 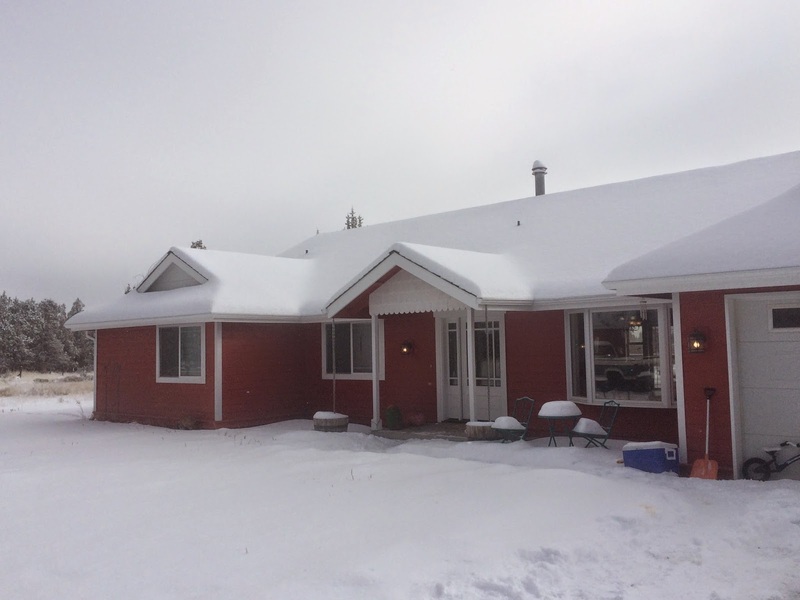 In many ways Karlene Petitt is on a similar journey as mine. 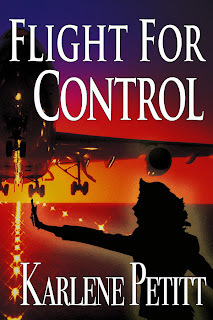 She first wrote two novels and revealed her passion and feelings for commercial aviation safety through compelling characters and fiction. At last she is completing her advanced degree and then tapping her education and professional experience to create her own nonfiction thesis for the benefit of others. Whatever you are facing, don’t let yourself become discouraged. Sometimes the road to a better place is long, but unless you are content to remain where you are unhappy—either literally or emotionally—the effort you eventually put into your own personal growth is worth it. Last week I was on reserve through Thursday. Not being called out enabled me to get caught up on the my homework early. Thursday, my last day of reserve I planned on jumpseating to Redmond, picking up two of our grandkids and bringing them home for the weekend so my middle daughter could finish her dissertation. I purchased three full fare tickets for the kids and I. Friday we would fly to Seattle. Sunday night we would return to Redmond in time for me to make a 30 minute quick turn to jumpseat home. Reserve on Monday. As weather would have it, I was enroute when they closed the Redmond airport. We returned to Seattle. Four cancelled flights later, I jumpseated to Redmond Friday night and stayed the weekend. 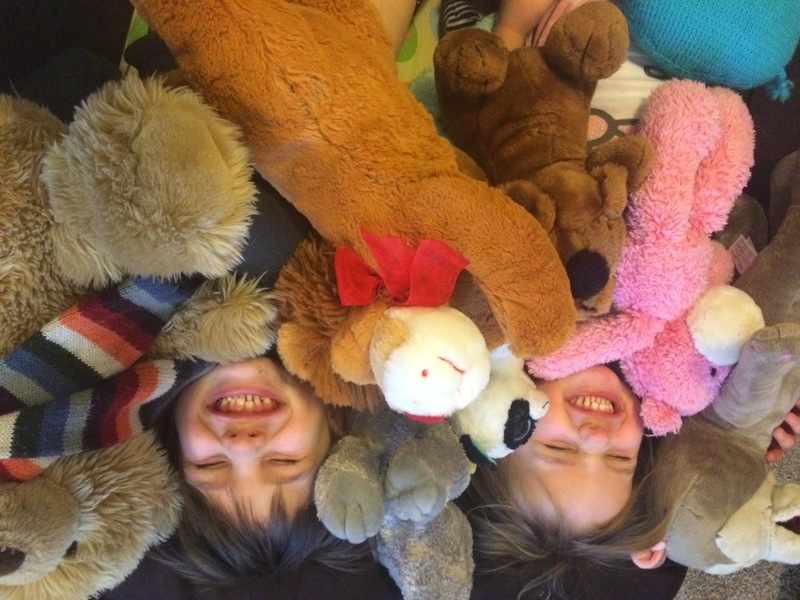 3 dogs, 2 cats and 2 happy kids who asked all weekend when they could go on the plane with me. The two-year old told me she was going to fly a plane. A pink plane. A jet plane. We baked cookies, played memory, played doctor (I got a new brain and a nervous system), we exercised by riding bikes upside down, jumped across a make believe boat, had a picnic with the stuffed animals who ate the children, played playdoh, baked more cookies, did an art project, ate pigs in a blanket, went on adventure walks and learned not to eat yellow snow. After the kids went to bed, I stayed up and did my homework like all diligent grandmothers do. Then the power went out. Thank goodness grandmothers doing homework in the middle of the night carry flight bags with a flashlight! I found the electrical panel and we had power again. My son-in-law delivered me to the airport Sunday, a couple hours early to accommodate the kids' evening schedule. I was able to submit my assignments from the airport Wifi. As it turned out, I was also first in line for the jumpseat with someone waiting. As the moral of the story goes... had I been on plan A, delivering the kids thinking I could get right out on the jumpseat, and I would have been stuck in Redmond when I needed to be home. Mother Nature dumped a bunch of snow to make my weekend work out perfect. Even if I did not know it at the time. Everything always works out as it should! And... my daughter was able to finish her dissertation and she is going to make me my Flight To Success cover! TWO WEEKS until First Quarter ENDS!!! And Studying For Recurrent Training Begins! Ready for a couple great novels? 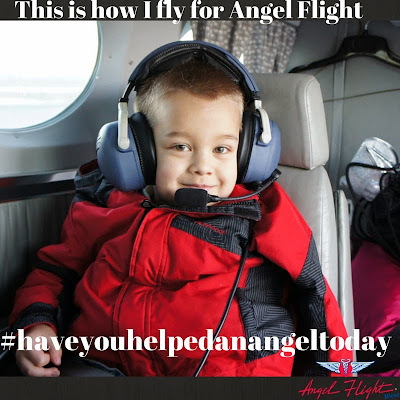 Learn How to Help by Clicking Here! Is Any of This a Coincidence? Congratulations to a New Instructor!! !